ExactCare® ValueTM from Cover-More offers you top quality travel insurance at an affordable price. 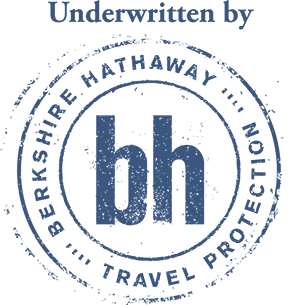 It’s particularly suited for travel within the United States, giving you peace of mind knowing you’re protected should something unforeseen cause you to cancel your trip. This plan has many covered reasons for trip cancellation and trip interruption, including terrorist activities, named hurricanes, and strikes. Please note: Restrictions may apply to the benefits. Coverage limits and availability may vary by state. See full policy details for further details. You may be eligible for the pre-existing conditions waiver, financial default coverage and Accidental Death and Dismemberment – Common Carrier Air Only if this plan is purchased within 15 days of your first trip payment, among other requirements. If needed, you can also increase the emergency medical evacuation coverage (not available in all states), which will provide an increased amount of evacuation protection while traveling more than 100 miles from your home. We also offer optional coverages that you can add to your plan for an additional premium. We provide these so you can tailor your coverage to suit your needs and your trip. For comprehensive coverage at an affordable price, choose ExactCare Value from Cover-More. Get a free quote today.